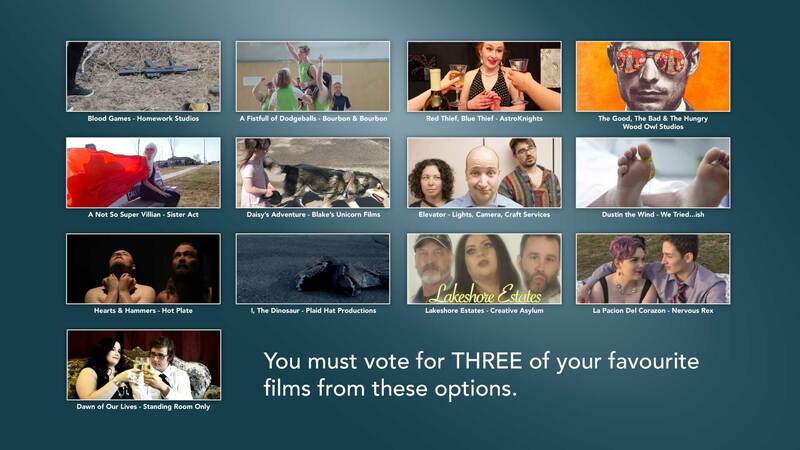 The following teams each produced a film project in the Peace Region as part of the fifth annual Frantic48 filmmaking competition in April 2018. Their films screened as part of the Reel Shorts Film Festival. We had a solid turnout this year with over 100 filmmakers participating to make 14 total films! Congrats to all of the participating teams for making so many unique creative projects. The quality and caliber of films keep getting better each year, and this year was no exception! We hope you continue to make films and we truly hope to see all of you back in October ready to play again. We want to especially thank team captains and their teams. Teams were given 48 hours to write, shoot, edit and deliver a 2-6 minute short film. Each team was assigned a random pairing of genres and all teams had to incorporate a prop (a pair of glasses) and a line of dialogue (“SO now you know.”). Fourteen of fifteen teams registered completed their films, and fourteen completed and submitted their projects within the very difficult 48-hour window. All fourteen were screened as part of the 2018 Reel Shorts Film Festival and the qualifying films were judged by a jury and the audience. Thank you to our presenting sponsor, Decca Industries Ltd., and to the County of Grande Prairie No. 1 for the gift baskets, and huge gratitude to Reel Shorts Film Festival for their partnership with PRIMAA to make this event possible. Videos will be posted as teams make them available!